How’s breakfast going at your house these days? Stuck in a toast-and-cereal rut? It happens. But with current daily recommendations for fruit and vegetables at 5 to 9 servings per day, breakfast is an important time to get some of that in. I don’t know about you, but I’ve found that serving my sleepy family a glass full of goodness tends to work a bit better than asking anyone to handle whole fruit in the morning. Juice is always delicious, of course-- but how about using the whole fruit? That way you get the extra benefits of fiber. Smoothies can be sweet, easy, and delicious without a hint of added sugar, and you can make them vegan or low-calorie if that’s your thing, too. Grab the blender, pull out some citrus, and try these easy, family-friendly smoothies that everyone will enjoy. Here’s a super simple smoothie that we think even a fruit-resistant toddler will go for—for one thing, it’s pink, and for another it features three fruits most kids can’t resist—strawberries, raspberries, and fresh Florida oranges. 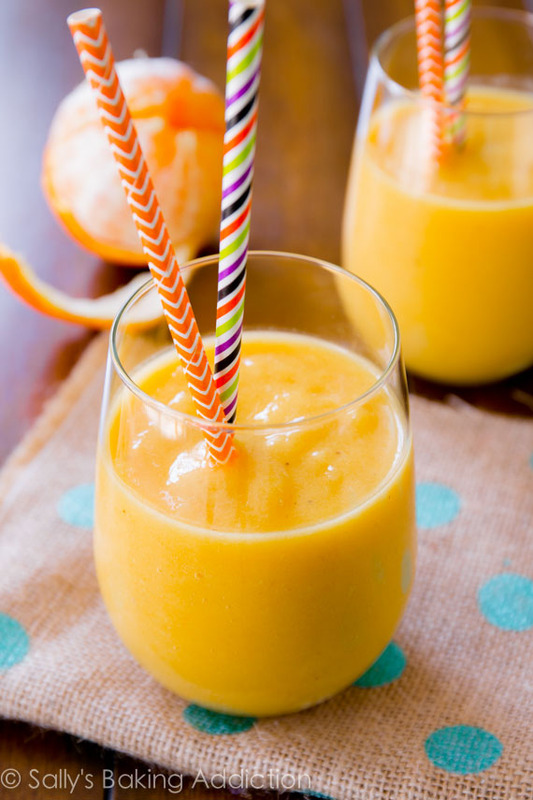 Step it up a notch with this tropical delight, featuring frozen banana, frozen mango, and frozen pineapple along with oranges. It’s like a trip to a sunny, warm island in your breakfast glass—perfect for the winter blahs, and packed with vitamin C and A.
I feel like this choice would be sure to wake me up—a strawberry-orange-ginger smoothie. Wow! This one is low-calorie, if that’s a concern for you, and refreshingly bright, not heavy. 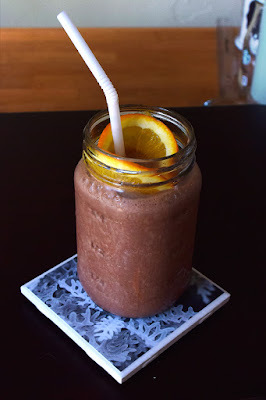 Here’s a grapefruit-tangerine smoothie that gets its natural sweetness from citrus, dates, and banana! The original recipe calls for almond milk, but you could try it with dairy milk or other milks as well. It’s a pretty pink color that’ll have you thinking of spring too! This dairy-free orange creamsicle smoothie calls for rich, delectable coconut milk along with 6 peeled oranges and a bit of orange zest. It serves 4 and will pack a serious vitamin C and flavonoid punch, thanks to the whole oranges and orange peel. 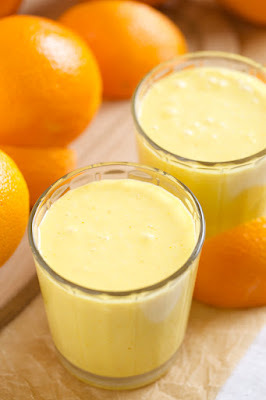 Kids will love the orange juice sweetness and the vanilla flavor. All right, but if what if you’re just a little braver or more nutrition-minded, and you’re ready to get in some veggie servings, too? I know parents who swear by the “green smoothie” to get vegetables into their most produce-resistant kids, and I’ve even met adults who say it’s the way they get their kale and spinach and other nutrient-rich greens in. While this one may look a little surprising, its ingredients are simple and delicious, and the sweet oranges and berries will make it taste great. Why not give it a try? Finally, if you love chocolate, here’s one last choice that’s healthy and indulgent both—a chocolate-orange shake made with fresh orange juice, frozen bananas, and cocoa powder. That ought to work! All right, I admit it…now I’m craving one of these treats. Enjoy your day—it’s bound to start off well after you’ve enjoyed one of these delicious and healthy drinks. Thanks to Sally at Sally's Baking Addiction and Kari at GI365 for sharing their wonderful pictures! I didn’t know how dihydromyricetin dhm helps with hangovers, but I had heard that it was used in Asia as an ‘ancient hangover cure.’ I have been using Detoxicated (packed with DHM) for a couple of weeks and I am totally in love with the effects. It really works and keeps me from getting hangover headaches the next morning. 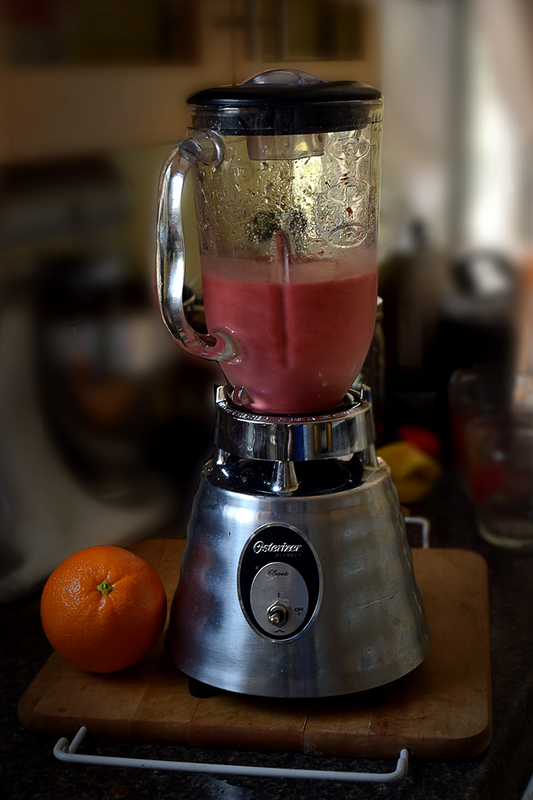 Here are the elements that you will require to make homemade smoothies with children: Blender or food processor, Silicone Spatula, Juice smoothie ingredients, crushed ice, cups, aprons, straws, aprons, and food coloring (optional).